Metallosis from cobalt and chromium after metal hip replacement. Cobalt and chromium are versatile materials with countless applications in a wide range of fields: metallurgy, paint chemistry, manufacturing, batteries, pigmentation, and host of others. But if even a small amount of either of these elements gets loose in the body, it can cause a toxic condition called metallosis. And metallosis is very serious business. Unfortunately, cobalt and chromium are both commonly used in the manufacture of moving parts of hip replacement devices. And when those moving parts move, they can shred, releasing into the bloodstream two elements that can cause metallosis. Cobalt or chromium poisoning can occur from the wear and tear of cobalt/chromium metal-on-metal hip implants. This type of implant is an artificial hip socket that is created by fitting a metal ball into a metal cup. Cobalt and chromium can be released as the metal ball grinds against the metal cup when a person walks or moves. These microscopic metal shards are absorbed into the blood stream and can infiltrate the organs. 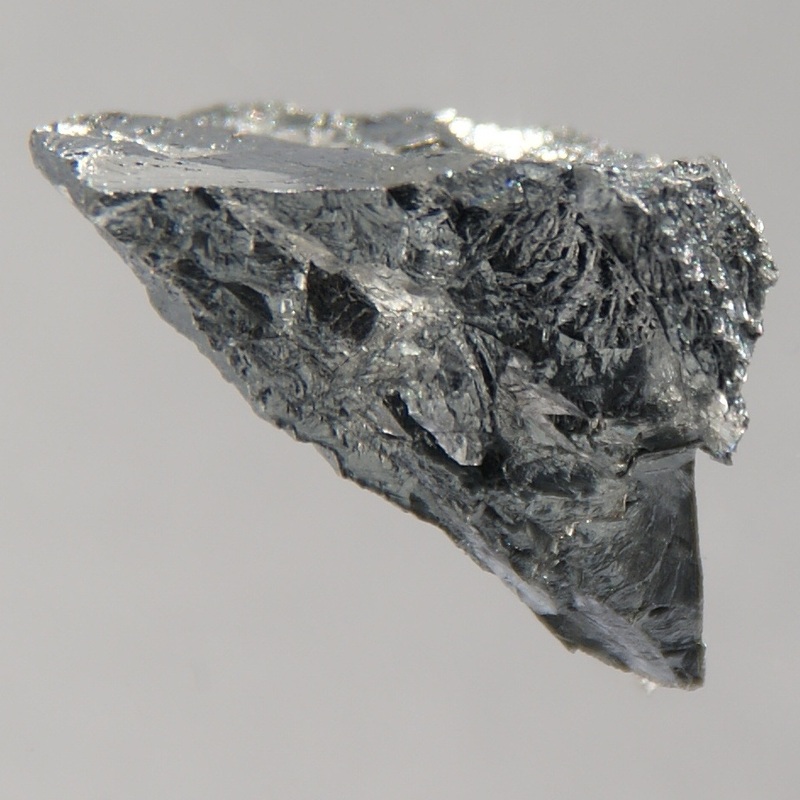 Persons who suffer pain, inflammation, difficulty walking, or develop cysts after receiving a metal-on-metal hip implant may have cobalt poisoning. Cobalt poisoning is extremely serious if left untreated. Believe it or not, a tiny amount of both of these metals is essential for good health. But we mean a really tiny amount. A few thousandths of a gram – or less. That’s more than enough chromium or cobalt for anyone. Cobalt can accumulate to toxic levels in the liver, kidney, pancreas, and heart, as well as in bone and muscle. Cobalt has been found to produce tumors in animals and is likely a human carcinogen, as well. If your cobalt levels rise to high, your doctor may recommend that your metal hip be replaced with an implant that does not contain cobalt. However, your doctor will consider many factors before suggesting revision surgery: metal ion levels are rarely considered enough on their own. Luckily, cobalt is not an accumulating metal. This means it is not stored in the bones, but is stored in the liver and can be processed out of the body through the urine. It is common that, once the cobalt source has been eliminated, the cobalt levels return to normal. The guidelines on what constitute an unacceptably high level of cobalt ions in blood depends on who you talk to. For example, DePuy hip implant designer and consultant, Dr Schmalzried, has said that, in patients with a well functioning device, levels should be no higher than 2 micrograms a liter. Indeed, TheLawFirm.com considers any level over 2 micrograms of cobalt per liter of blood as abnormal. Note that this isn’t set in stone. Some medical experts consider “normal” cobalt levels as below 1.0 microgram per liter of blood. Generally speaking, levels over 5 micrograms of cobalt per liter of blood are considered toxic. However, because revision surgery has risks, your doctor may chose to only monitor you more closely if your cobalt levels are over 5 micrograms per liter. Treatment for signs of cobalt toxicity from a metal on metal hip implants may include removing the implant and replacing it with a traditional hip implant. However, despite these “revision surgeries”, cobalt or chromium poisoning can cause problems that require ongoing medical treatment for a long time. Chromium poisoning is as dangerous as cobalt poisoning. Patients with elevated chromium levels often show similar symptoms as those with elevated cobalt levels. The most notable difference is that cobalt poisoning can cause cardiomyopathy while elevated chromium levels do not appear to cause heart problems but can cause problems with the reproductive system. Chromium can also cause problems with the kidneys. As for chromium, its important to note that there are different types. However, using only the criteria of TheLawFirm.com, the highest safe level of chromium is below 17 micrograms per liter in whole blood levels. Chromium is stored in the liver, spleen, soft tissue, and bone. Therefore, the liver and kidney are often target organs for toxicity from chronic exposure to chromium. However, the body's chromium content may be reduced under several conditions. Diets high in simple sugars can increase chromium excretion in the urine. Infection, acute exercise, pregnancy and lactation, and stressful states (such as physical trauma) increase chromium losses. Both of these metals should be regarded as “trace elements.” That means that just the tiniest, tiniest bit is sufficient; any more is dangerous. In our experience, too many metal-on-metal hip replacement devices release dangerous levels of chromium and cobalt into the bloodstream. The acceptable, “normal” amount of cobalt and/or chromium in the body has never been established by medical science. Some experts will say that cobalt levels should not exceed 1 microgram per liter of blood; other will say that twice that figure is acceptable. Though we are not doctors, our legal experience while working on many of these cases suggests to us that having more than 2 micrograms of cobalt per liter of blood is abnormal, and more than 5 micrograms of cobalt per liter of blood is potentially toxic. Our experience has told us that, for chromium, the safest level is below 17 micrograms per liter of blood. How Do Cobalt and Chromium Get Into The Bloodstream? In people who have had hip replacement surgery, chromium and cobalt often enter the bloodstream when two metal parts of their hip replacement devices grind against each other. A hip replacement device has two parts that come into contact with each other: a ball and a cup. The cup fits inside the ball so it can rotate but not come loose. Every movement of the hip or leg rotates the ball inside the cup. Every time that happens, tiny particles of metal can be sheared off of one or both pieces of the device. Those tiny particles of metal can then enter the bloodstream and travel throughout the body, to the heart, liver, and kidneys, where they can cause metallosis. If the problem is detected early on, and your doctor determines that you need a second, “revision” surgery, there may still be complications. Revision surgeries are expensive, time-consuming, and can cause you to lost the opportunity to earn wages. Revision surgeries can be painful. Like any surgeries, they can result in medical complications. Removing and replacing a defective metal-on-metal hip device will NOT remove from your body the tiny particles of chromium and cobalt that can cause metallosis. Human beings have been mining and using chromium and cobalt for thousands of years. Over that time, we’ve come to understand these metals’ values, as well as their dangers. What we’ll never understand, even after years of handling metal-on-metal hip replacement lawsuits, is why in the world these manufacturers of medical devices ever decided to use chromium and cobalt in their hip replacement devices. Many, many metals – and other durable materials – are known to humankind. Why use two that are known to cause serious health problems? Actually, we can probably answer our own question. Chromium and cobalt are relatively less expensive than other durable materials. Cheaper materials can translate into higher profit margins. Even when people’s lives make up the balance of the expense sheet. We also believe that, even though these companies knew of the adverse health effects of using chromium and cobalt in their hip replacement devices, they thought they could get away with it. What Should I Do If I Have a Painful Hip Replacement Device? If you suffer from any of the telltale symptoms of metallosis that we’ve listed above, the first thing you should do is contact your physician, and ask him or her to test the levels of chromium and cobalt in your blood. As always, we advise you to follow the advice of your trusted medical providers. If it turns out that you have developed metallosis as a result of a defective, metal-on-metal hip replacement device, we strongly believe that it is in your best interest to reach out to the expert attorneys at TheLawFirm.com. We can help you launch a lawsuit that may be able to provide you with significant financial compensation that can offset the costs of your surgeries, your work-related expenses, and your pain and suffering. Contact us today so we can help you with your case. The call and the consultation are free, and you pay us nothing unless we win your case for you.